With constructing a batcave being a bit outside your budget, and the gift of flight being humanly impossible, helping your child fulfill his superhero dreams can be tough. But fear not, there is plenty of ways you can help give his or her room an upgrade fit for a hero! Looking for a perfect way to complement posters, decals and other superhero- themed art hanging on the walls? Try giving the room a fresh paint job to match! Red, blue and yellow walls would be perfect for the Superman fan in your home, or grey, black and yellow for a Batman-themed room. 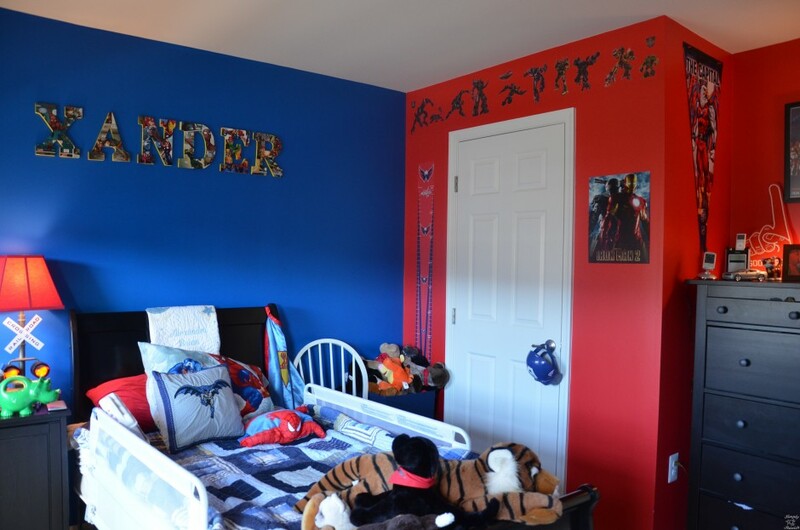 Whichever superhero your child looks up to, their room is just a few cans of paint away from an awesome superhero theme! Here at Ceiling Fan Designers, we have several superhero-themed fans that add a great touch to any superhero-themed bedroom or playroom. 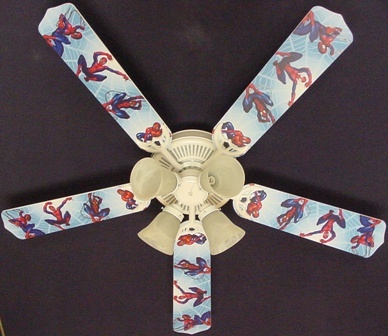 We have ceiling fans adorned with images of Spiderman, Batman, and Superman, so your son or daughter can check out their favorite superhero spinning above them while relaxing in their room. 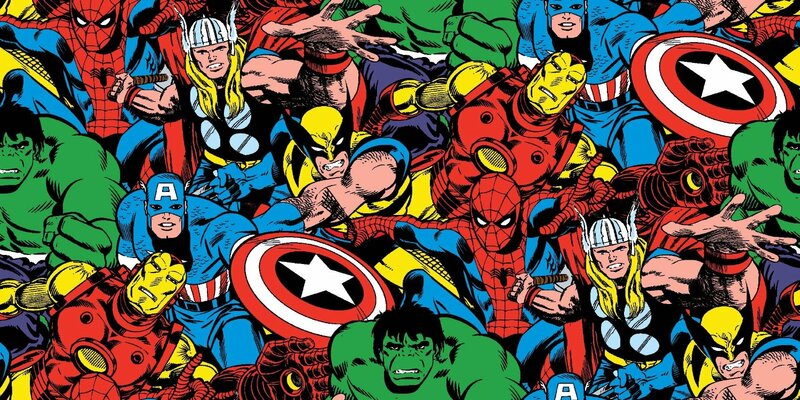 Marvel Comics Fabric: Versatile & Awesome! This 100% cotton fabric featuring all of the classic Marvel superheroes can be used for a wide variety of crafts. You can use it to make pillow shams, tack it to dressers or other furniture, or you can frame it and hang it as art. There is no limit to how you can use it! You can find the fabric here on Amazon.